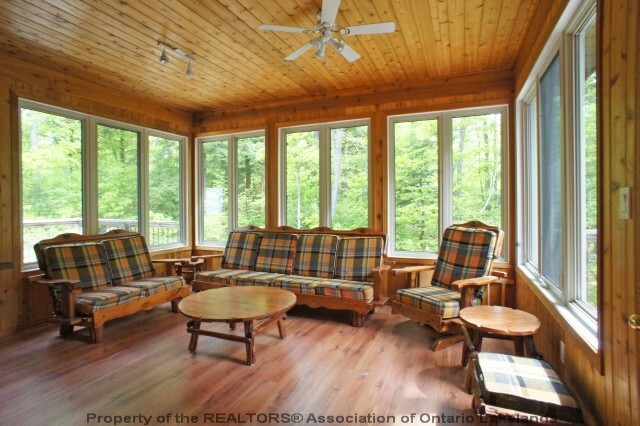 "Lots of decking to catch the big lake views!" 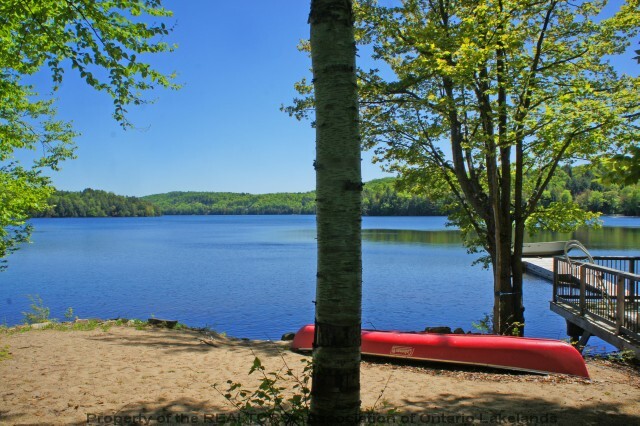 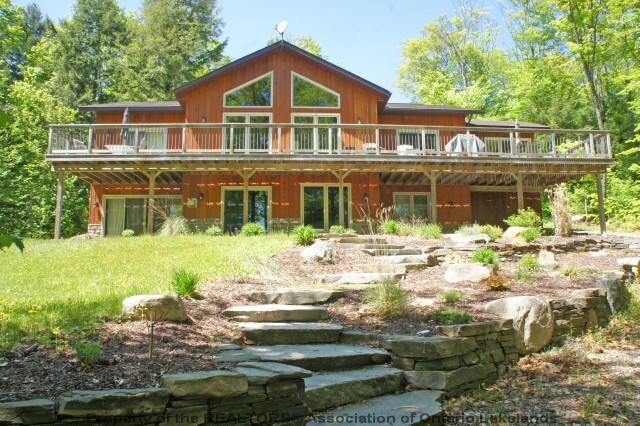 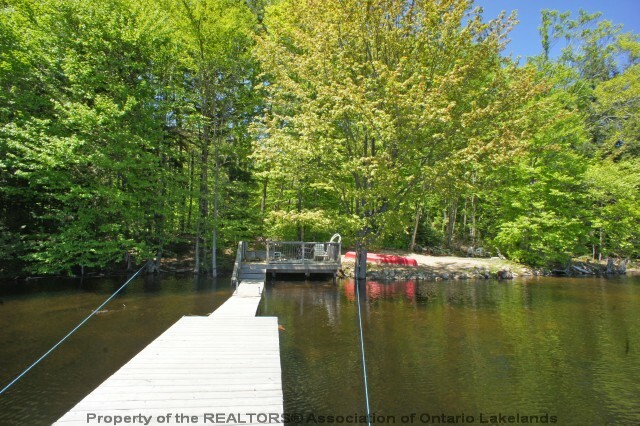 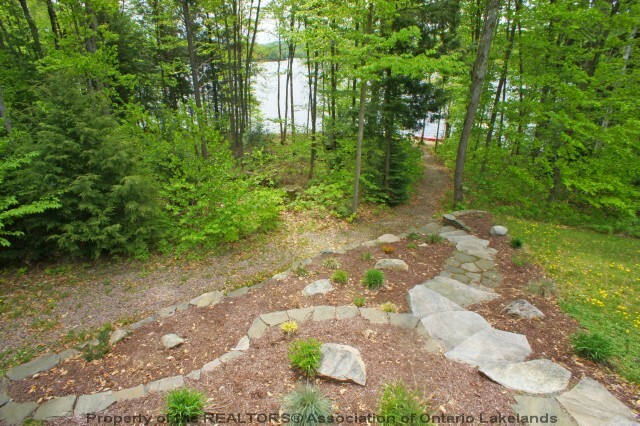 This 4-season cottage/home has the winning combination - it sits on a level to gently sloping, private, well-treed lot with 154 ft of sand and rock shoreline, and faces south on prestigious Little Redstone Lake, part of a 3-lake chain. 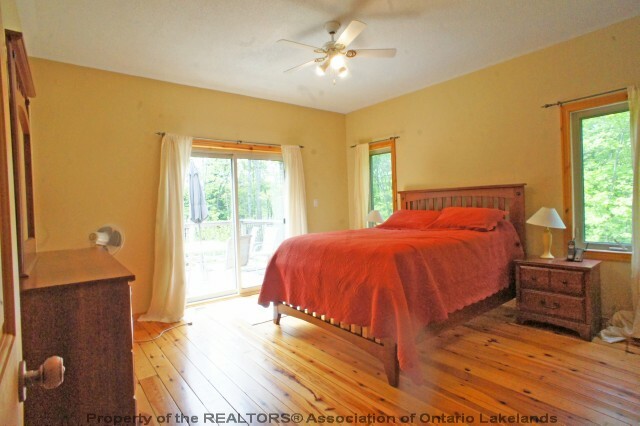 Add to this, a spacious cottage with 3000 sq feet of total living space, including 4 bedrooms plus a den and 3 baths, with an ensuite in the master bedroom. 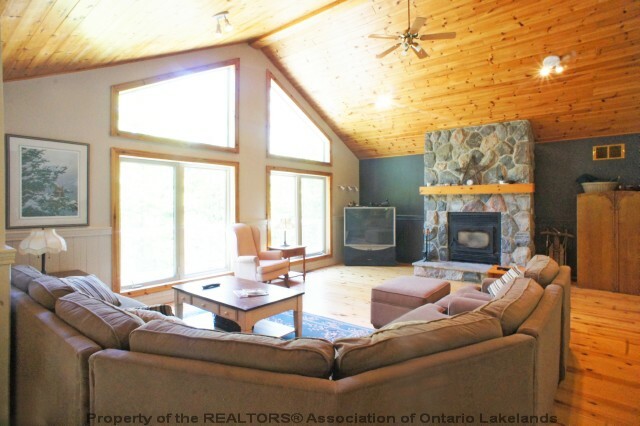 The spacious great room boasts a floor-to-ceiling stone fireplace, pine cathedral ceilings, tall windows, and pine floors. 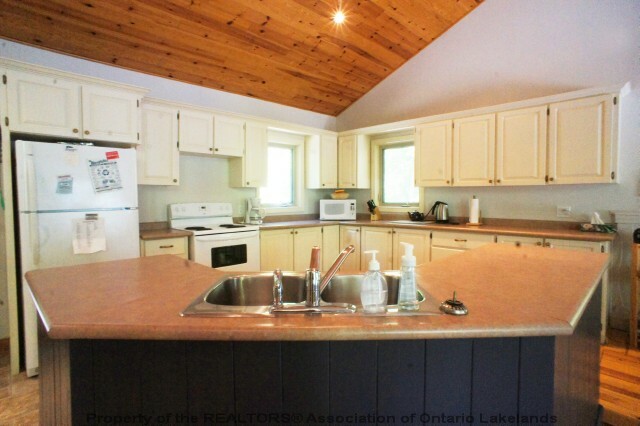 The kitchen has a huge island and the dining room is perfect for entertaining large crowds, and it opens to a huge screened porch. 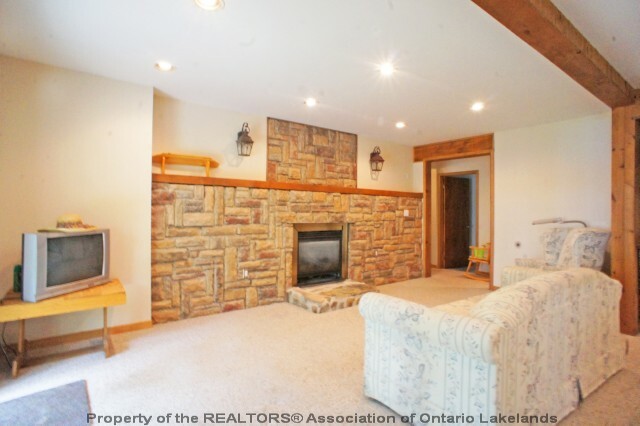 The lower level family room has a double-sided fireplace, wet bar, and walk-out to the natural, nicely landscaped property, which leads to a stone patio with fire pit, and to the lakeside deck.